Longacre monitors every child’s progress closely through a planned programme of assessment, analysis and target setting. Children experience a range of assessments, both formal and informal; internal assessments are used to inform teaching and learning and ensure that our children have understood both skills and concepts before proceeding to the next level of learning. Formal assessments measure children’s progress against the cohort, both local and national, to enable us to gauge the child’s potential for future schooling. 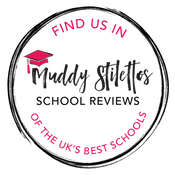 No assessment processes are undertaken with unnecessary pressure and we do not have a culture of cramming, tuition or other unnecessarily stressful examination experiences! We ensure that progress is steady and achievement matches potential. We monitor every child as an individual through a bespoke performance tracking vehicle which enables us to track every child, ensuring they are meeting their potential and working as effectively as they are able. The information collated assists us in keeping parents and pupils informed and to monitor the effectiveness of our own teaching. Pupils are fully engaged in their learning and work with the teachers in devising relevant targets to assist them in making the very best progress. Parents are regularly informed of pupils’ progress through a half termly grading system in addition to assessment cards which detail how children performed in their formal assessments. The language is in line with that already used in the Early Years and therefore allows for a natural transition from Form I upwards. Grades outline how a child is performing as an individual in terms of effort and attainment. When pupils progress into Form V and VI they are also graded in relation to their cohort. Parents are invited to a number of parent consultations throughout the year which enables them to discuss their children with the Form Teacher and the subject specialist teachers. In addition, parents can access the various staff at any time, both informally after school or through a formal appointment. Parents are issued with reports twice a year; a core report in the Michaelmas Term and a full subject report at the end of the Summer Term.